The United States Military had been toying with the idea of paratroopers since WWI, and was scheduled to start testing and adapting infantry soldiers until the end of the Great War signaled a reduction in troop levels and military needs. It wasn't until Russia and Germany starting using mass drops of paratroopers in the late 1930’s that serious discussions restarted. The German invasion of Crete proved that the use of airborne troops could seize key objectives, bridges or even a fortress quickly and provided a shock element to an army and mass confusion to an enemy. A test platoon was formed in 1940 and began experimenting with various equipment and parachute types. This test platoon was formed as a volunteer only battalion and to generate more interest, enlisted men would get an additional $50 of jump pay per month and commissioned officers would get $100 extra. On July 1st 1941, the 502nd Parachute Battalion was officially formed at Ft. Benning, GA. This new parachute Battalion was an expansion of the 501st Parachute Battalion and brought many officers to the 502nd, which would later help write, develop and define US Airborne doctrine. While the Airborne concept was still in its infancy, the events at Pearl Harbor on December 7th, 1941 pushed all branches of the military to rapidly expand especially this new specialized infantry. In response, the 502nd was expanded from a Battalion into a Regiment on March 2, 1942 and was placed under the command of Lt. Col. George P. Howell. Shortly after formation Col. Howell was appointed to take command of the parachute school at Ft. Bragg. Command was then placed to Lt. Col George Van Horn Moseley Jr., a decision that helped to define the term espri de corp of “Airborne” for years to come. A former West Pointer, Lt. Col Moseley, brought his untiring work ethic and will power to his new troopers. He made enormous demands on his men, as well as himself, a trait that helped shape his men into fearless fighters. 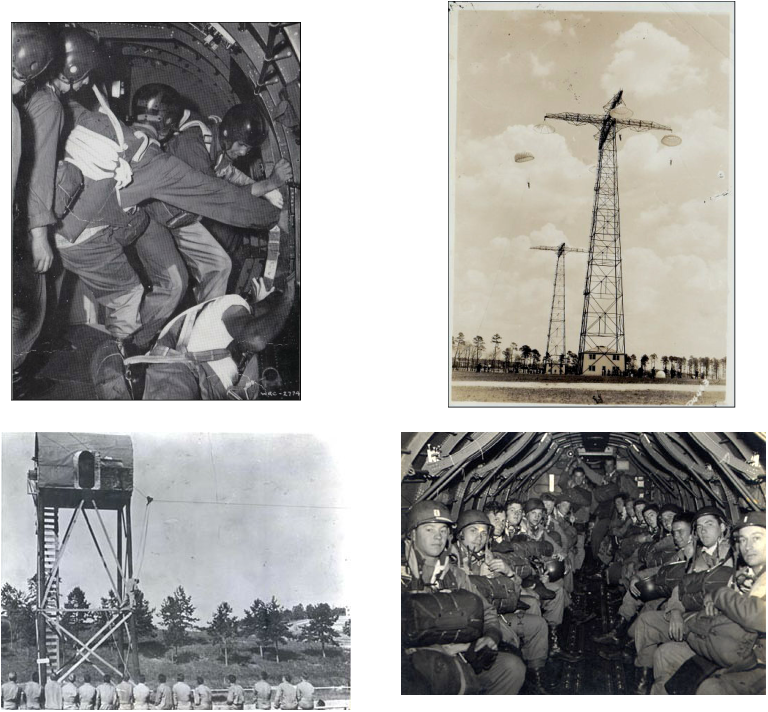 In July of 1942, 2 full Airborne divisions, the 82nd and the 101st, were activated at Le Claiborne, LA. The 502nd was assigned to the 101st and became its original Regiment causing the 502nd to be moved from Ft. Benning to Ft. Bragg where the 101st Airborne was headquartered. The training programs ramped up from 1942 to 1943 and increased in shape and scope, and were designed to push the troopers to their limits and beyond. The 502nd took part in Division maneuvers at Southern Pines and Camden, and continued to prove their toughness when Company H set a new marching record by marching a total of 145.5 miles in 57.25 hours, in which the first 33 miles were done in 11 hours. 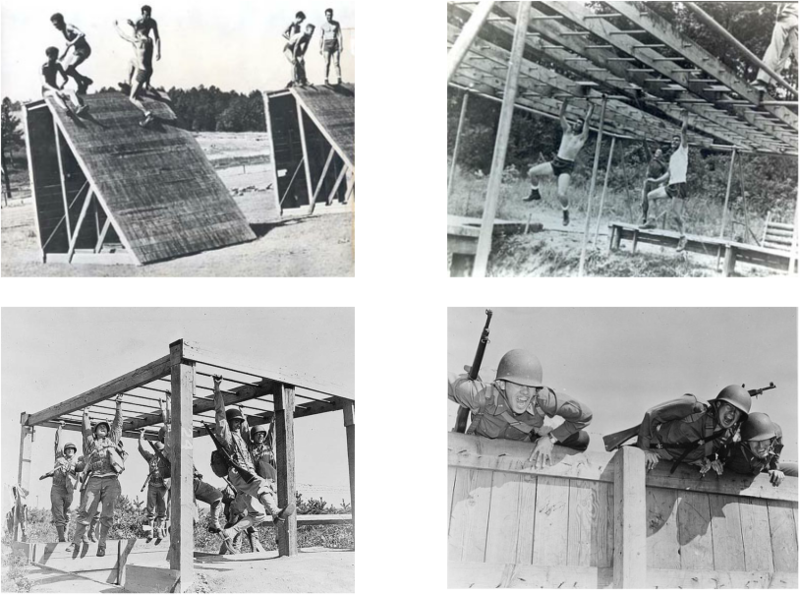 Airborne training consisted primarily of thousands of push-ups, long distance runs, speed hikes covering extreme distances in short times, obstacle courses and whatever diabolical ideas could be hatched by their commanding officers. All movements were done at double time and no walking was allowed outside of the buildings. Friday nights had cross country field problems until 0200 or road marches that ranged between 10-20 miles, until 0200. Saturday nights and Sundays were OFF days, which hopefully including a leave pass do go out on the town. During heavy rain marches and the obstacle courses were not ran, opting instead to drill indoors. Lecture and class room instruction would include knife fighting, self defense- judo, bayonet drill, as well as the usual VD classes, military courtesy, tactics, etc. On September 4th, 1943, the 502nd is boarded onto the SS Strathnaver to attempt the crossing to England. Unfortunately, the trip would 6 weeks and include a stop in St. Johns Newfoundland which delayed the Units arrival in England for a month. After 6 days at sea it was discovered that the Strathnaver had fresh water in its salt water tanks and was forced to port. On the 26th of September, the men of the five-oh-deuce once again departed, only to have the ship strike rocks in the harbor, take on water and yet again be forced back to port. On October 4th, the Regiment was boarded onto the SS John Ericson for the 2 week trek across the Atlantic. Although the crossing took longer than expected, the brass of the 502nd used the time effectively and conducted foot marches, inspections and physical conditioning. Finally, on October 18th, the 502nd PIR finally arrived at Liverpool and transported to their new quarters. Setting up camp in England, the 502nd was assigned to quarters in Chilton Foliat and Denford area near Hungerford, Berkshire (approximately 80 miles west of London) and had previously been used by the 509th PIR, 82nd AB before their entry into combat in Africa. They were billeted in a combination of Nissen huts (long corrugated buildings with humped roofs), to barracks for enlisted men, while officers were assigned to stay with local families. Many changes were in store for the men of the five-oh-deuce, including a new diet, due to the extreme rationing the British were under, the constant fog, and the quiet countryside. The men didn't get to enjoy their new surroundings very long as once again the training came to dominate the order of the day. The physical conditioning training included 15-25 mile hikes and daily close combat exercises. Instructions were given on a wide variety of items from first aid, map reading, chemical warfare, and the use and firing of German weapons. Numerous practice parachute jumps with simulated missions were conducted and accomplishing objectives at night became routine. These night exercises became a clue that the paratroopers were going into combat at night, now the only question was where and when they would invade Hitler’s fortress Europe. In early spring, the 502nd participated in 3 large scale simulated combat missions that would be their last dress rehearsal before D-Day, they were Exercise Beaver in March, Exercise Tiger in April and Exercise Eagle in May of 1944.